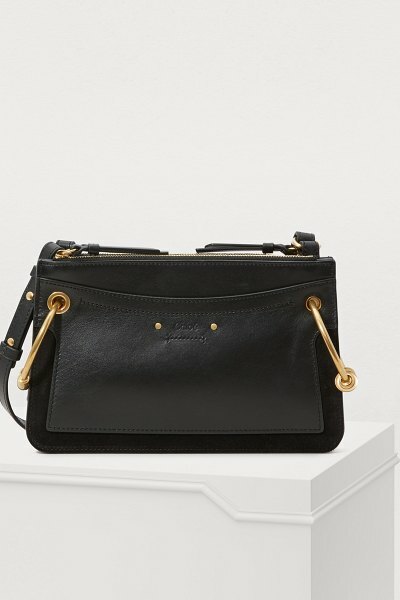 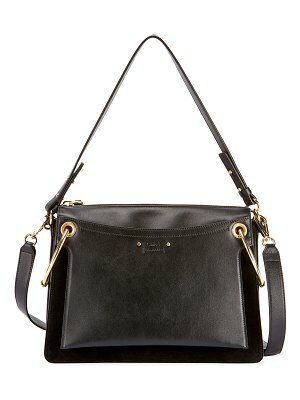 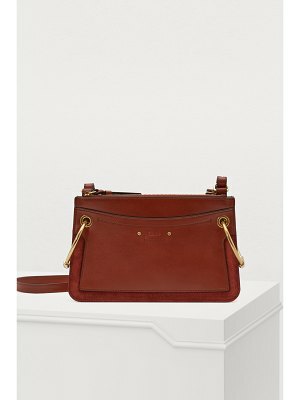 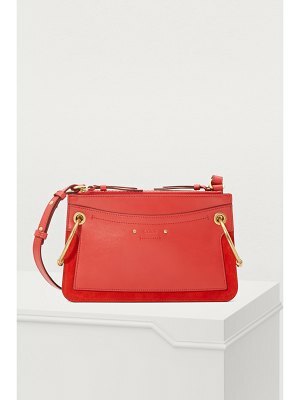 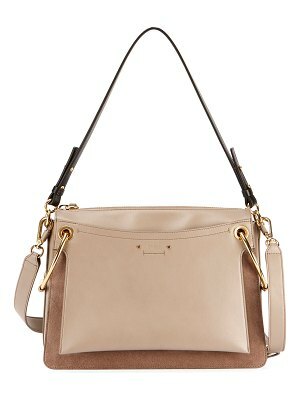 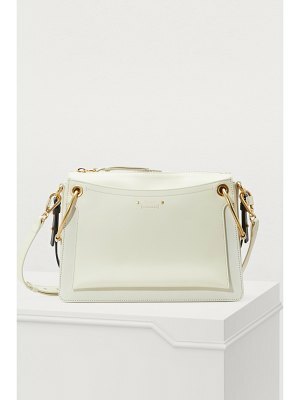 With its soft, feminine lines, the Roy mini shoulder bag from Chloé is a must-have. 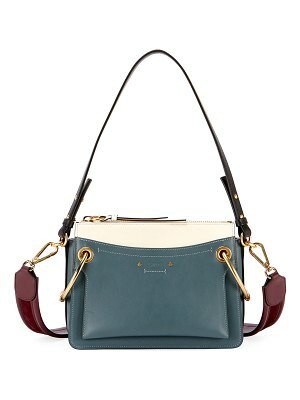 It stands out with its two accordion pockets, each featuring a large metallic ring. 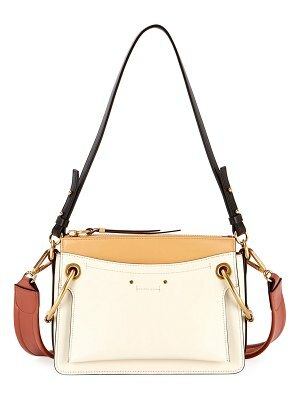 It also possesses a zipped closure, a flat pocket in the front, a space for cards inside, and two matching shoulder straps. 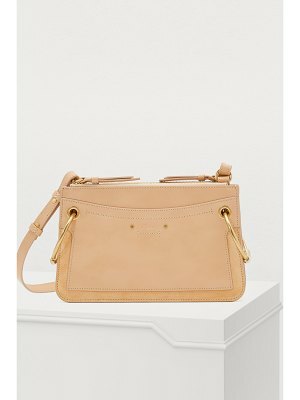 Pair it with cigarette pants and pumps for an elegant business look.